A 2017 TransUnion Healthcare analysis revealed that 68% of patients with $500 or less in medical bills did not pay the full balance in 2016. This trend is expected to rise to 95% by the year 2020. As a healthcare provider, patient care and treatment is the primary reason for doing what you do. Unfortunately, many patients will not seek treatment or continue care if they are unable to pay their bills. With higher health insurance deductibles and patient responsibility affecting payments and treatment, how can healthcare providers collect payments and continue to provide quality care? Some patients will avoid or delay a doctor visit until it becomes absolutely necessary to get professional help. Long gone are the days when the family doctor made house visits. Specialization has left healthcare primarily fragmented so patient/doctor relationships are difficult to maintain. Healthcare providers can still follow a few tips to nurture patient trust. Listen: It may be challenging to listen to a patient when they are in pain, scared, or upset. Patience and a calm demeanor will give them a chance to feel heard and comforted. Be present: When you enter a room with a patient, introduce yourself. Talk to the individual, looking them in the eyes, and explain how you believe you can help. Look up from charts or electronic devices to remind the patient that you're interested in why they are there. Offer clarity: It can be challenging for a patient when their doctor is speaking in medical terms. Do your best to speak to your patients in terms that they will understand. Set expectations: One of the most frightening things for any individual is uncertainty. If you're able to, explain clearly what treatment your patient can expect from you or anyone else in your office. Patients should be informed early about their patient payment responsibilities. When your patient knows what is expected of them and how your healthcare office will work with them, they may feel more supported by your practice. Train staff to discuss payment options: Your staff should be well trained to treat patients with professional courtesy. They should also be aware of financial options available to offer patients who are afraid of the payment responsibility. 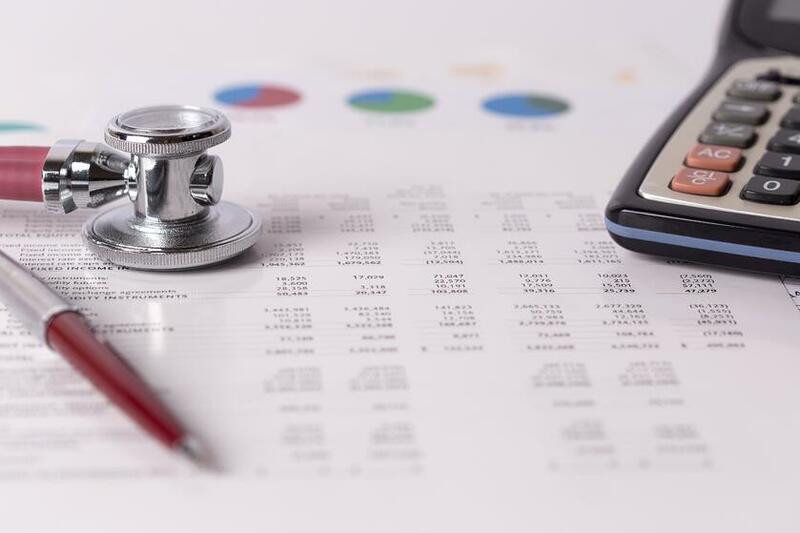 Be transparent on costs: If patients know what to expect cost-wise, they will likely gain confidence that they will be able to pay their bills. Health insurance may complicate the answer but a pricing list could be helpful to offer generic costs of treatment. Provide options for payment: Again, a clear idea of what's owed and options for payment should be discussed with a patient early and often. Removing the stigma of medical debt fears, and making payments accessible, will help to ensure payments to your practice. A patient that trusts their healthcare provider, in a relationship based on transparency and presence, is crucial to building a practice that is paid regularly and timely. Collecting sooner, rather than later, will also help to keep the staff paid and the doors open. Collect costs in office or make arrangements: A best practice is to collect co-pays or the first payment while the patient is still in the office. Train your staff to be cognizant of the patient's financial situation but still insistent on a payment before they leave. Accept different forms of payment or make payment arrangements: Multiple forms of payment options should be available to the patient for paying their bill. If the patient has health insurance or not, notify them of their payment responsibility and what payment options or arrangements can be made to pay off a balance. Use technology: Instead of the patient waiting to receive a bill in the mail, use your website, email or SMS messaging, with their permission, to engage the patient to pay their bill. A younger patient demographic may prefer to interact with your practice online than through regular mail. Automate: Automated credit card payments, debit, or ACH are great options to ensure your patient bills are paid regularly and on time. A patient who trusts their healthcare provider will be more willing to pay their bills. Informing the patient of their responsibility, with understanding and transparency, is part of building that trust. Flexibility and convenience, through, automated payments and technology, can help to bring in timely patient payments. Learn more about BYL Healthcare collections to help improve your healthcare office's bottom line. Health insurance or not, you want to provide the best care for your patients. Getting paid in-full and on-time ensures that you can.